Just the fact that John Oliver has pulled the Southern Poverty Law Center (SPLC) into his story shows how mainstream this history analysis has become, and deservedly. The SPLC has done an amazing job highlighting the falseness of “heritage” claims. The Civil War ended 153 years ago. The Confederacy, as Mitch Landrieu said, was on the wrong side of humanity. Our public entities should no longer play a role in distorting history by honoring a secessionist government that waged war against the United States to preserve white supremacy and the enslavement of millions of people. It’s past time for the South – and the rest of the nation – to bury the myth of the Lost Cause once and for all. True. Bury the myth. It makes sense that pro-slavery white supremacist distortion of history must stop. That means America needs to stop giving honors to domestic terrorists who enslaved millions and murdered hundreds of thousands of Americans. However, I also believe there is an ingredient missing to the story. Even historians tend to overlook an important detail: America needs to restore monument honors to those who defeated the domestic terrorists, because these heros have been under attack for at least 130 years. 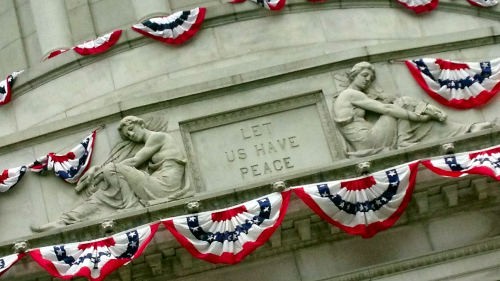 There may be no better example than Grant’s “Let Us Have Peace” Tomb. The final resting place of President Ulysses S. Grant and his wife, Julia, is the largest mausoleum in North America. It testifies to a people’s gratitude for the man who ended the bloodiest conflict in American history as Commanding General of the Union Army and then, as President of the United States, strove to heal a nation after a civil war and make rights for all citizens a reality. 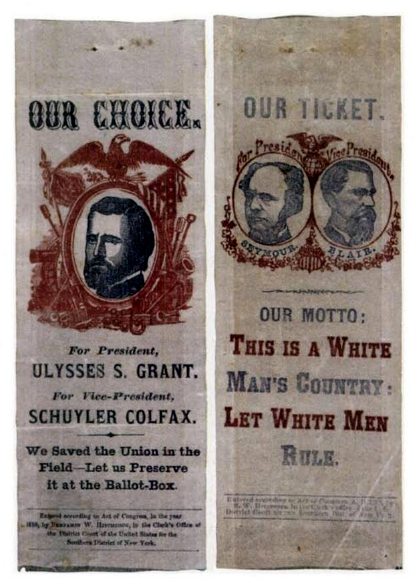 In case you don’t get the reference, “Let Us Have Peace” was the concluding line of Grant’s 1868 acceptance letter to become President of the US. It’s hovering impressively over the entrance to his Tomb. So, I think some perspective is needed here. This is a civil rights hero memorial. “Let Us Have Peace” is a huge engraving memorializing his dedication to human rights, bordered by larger-than-life statues, and I have zoomed in significantly in the above picture. It is hard to overstate the massively massive size of this monument to Grant’s civil rights legacy. Here’s what it looks like when standing at the base of entrance steps. So where is this gargantuan mausoleum, the largest tomb in North America, you ask? Exactly. While Lincoln’s Memorial sees approximately 6 million people annually, guess how many visit Grant every year…. Nobody seems to know because who can even find it? Pro tip: Grant’s Tomb sits in New York City overlooking the Hudson River. It is so large the Statue of Liberty can fit inside it. However few people if anyone around can tell you where it is. Ask any student of Columbia, present or past, to tell you where Grant’s Tomb is. They have no idea their school is only blocks away. How is this possible? Why would a massive memorial to America’s best General and arguably top three best President (behind only Washington and Lincoln) in a huge city be so unknown? The answer is simple. The Confederacy. Historians are only just beginning to talk about a concerted effort by white supremacists in America to intentionally obscure Grant and falsely tarnish his reputation. This is the other part of the idiotic revisionist movement that erected statues of that traitor Lee; they also worked to diminish Grant. When the great monument to Grant was erected, the design specified an empty space. As you find with other monuments, it was meant to be set out overlooking a wide open expanse. Think of how the Lincoln memorial sits at the end of a giant reflecting pool. Grant’s Tomb had a similarly impressive hill-top setup as you can see in this photo from 1900. Apparently it could be seen for many miles around. And that was the point. Grant was one of the most popular men in the world when he died. His funeral was legendary with over a million people honoring him. Years later when his tomb was completed, his amazing popularity continued. Approximately 90,000 people from around the world donated over $600,000 towards the construction of Grant’s Tomb. This was the largest public fundraising effort ever at that time. Designed by architect John Duncan, the granite and marble structure was completed in 1897 and remains the largest mausoleum in North America. Over one million people attended the parade and dedication ceremony of Grant’s Tomb on April 27, 1897. Think about those numbers. Millions of people in 1897 means basically the entire population of NYC. For a sobering comparison, barely 100 people attended Lee’s funeral and he died a traitor having never been pardoned for treason and never restoring his citizenship. That’s right. Lee threw away his American citizenship and didn’t even care enough to have it restored. Unbelievable that Americans erect statues and name streets after him. Then in 1935, with the rise of fascism in the US as well as around the world, suddenly trees were planted around Grant’s Tomb directly contradicting the design to keep its prominence. And you can guess what happened next. I mean can you imagine planting trees up close and around the Statue of Liberty such that nobody would see it anymore unless standing at her feet? Such a plan would be inconceivable, and yet…here is what Grant’s Tomb looks like today, completely hidden as if America is ashamed of its most important leader in military and civil rights history. This monument to an American hero was greatly diminished around the same time as a “distorting history” crowd worked so hard to shamelessly erect statues to honor America’s enemies. Lee literally asked that no monuments be made to him, and Americans dishonored his wishes in an attempt to keep civil strife alive. 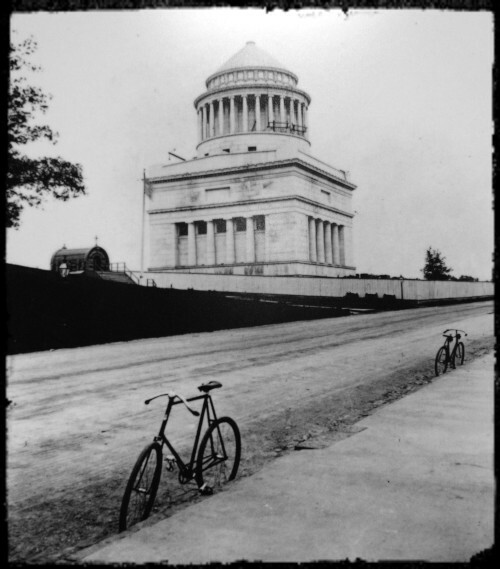 Grant’s tomb specified no obstructions to the view, and Americans dishonored him as well in an attempt to obscure his message of peace and civility. So the next time you see a loser-Lee monument of slavery and patronage, ask yourself where can you see the nearest monument to the victorious civil-rights anti-corruption champion Grant. Now, to be fair to the people who were fiddling with history in the 1930s, they considered themselves reformers. 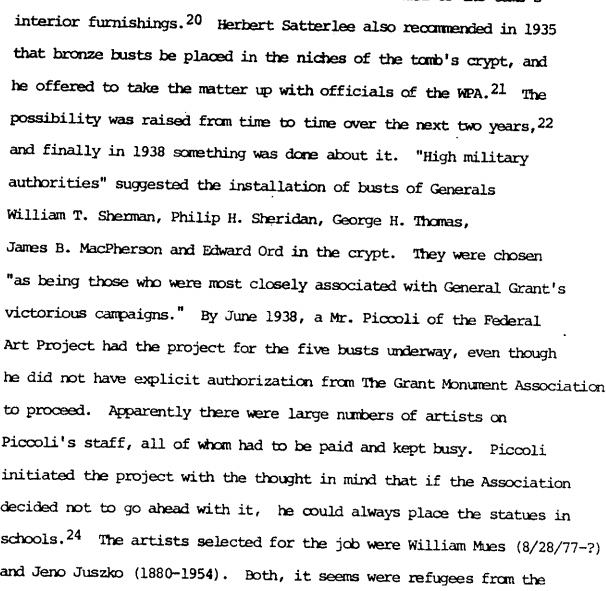 Herbert Satterlee is credited, for example, with pushing a number of dubious changes to Grant’s Tomb before committing suicide a few years later. Perhaps most notable, besides that inexcusable obfuscation line of trees, is a ring of military busts staring inward and distracting from the sarcophagi. The busts perhaps were an attempt to emulate Les Invalides in Paris, built in 1861, where Napoleon rests in a massive quartzite sarcophagus surrounded by 12 female statues representing his military campaigns. So here’s the thing. 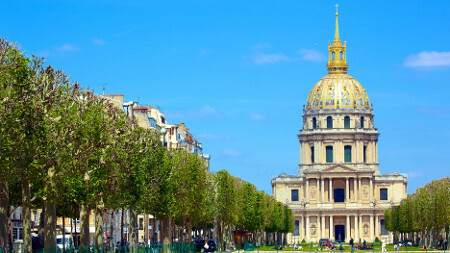 If we’re being charitable, a Napoleonic bust theme could mean the trees planted at the same time were meant to be tiny and manicured like Les Invalides. In some weird twist of history, people wanted Grant’s resting place to look more like Napoleon’s by adding trees and busts. Instead we coincidentally see that during the period that unjust historians were trying to tarnish Grant’s civil rights legacy, and falsely color his war-time accomplishments, trees strangely were allowed to grow out-of-control into a thick curtain. Is it really coincidence, though, even if the trees were meant to be maintained low and manicured to emulate Napoleon’s tomb? 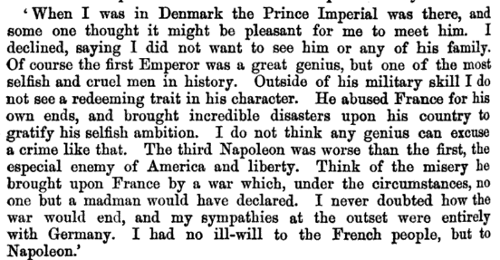 Grant absolutely hated the Napoleon family legacy of cruel and selfish behavior, as he wrote plainly for everyone to see. Even more to the point, the 1938 “renovations” to Grant’s tomb played up his military career and all but diminished civil rights legacy. Yet Grant thought when US Generals he knew emulated Napoleon they became examples of failure. In other words, it’s a travesty of history for someone in 1938 to try and redesign Grant’s tomb to emulate Napoleon, a man and legacy he despised. It is even worse that someone in 1938 would plant the seeds of trees that, in direct opposition to the design of Grant’s tomb to be observed from far away, make it nearly impossible to see a building that so many people around the world have invested in to honor a great American hero. It is past time to cut the trees down. I also think the busts should move to a separate observation gallery. And while we’re at it can we get the obnoxious “shiny boots” Lee mural removed as well? I suppose that whole story will have to wait for another post, another day. In the meantime let’s bring down those trees. I was a student at Columbia. No one knew where Grant’s Tomb was. I certainly wish they knew, we passed by it often enough. At Barnard we knew of Grant’s Tomb. It was like a place to hide because so hard to get to. I think you should add it is an island absent of cross-walks. You had to really want to be there, not something you could pass by and notice. Like you clearly see in your photo how the current design is hostile to visitors. How stupid is it that jaywalking is required?